Rearview, Window or Ceiling Fan Pull! 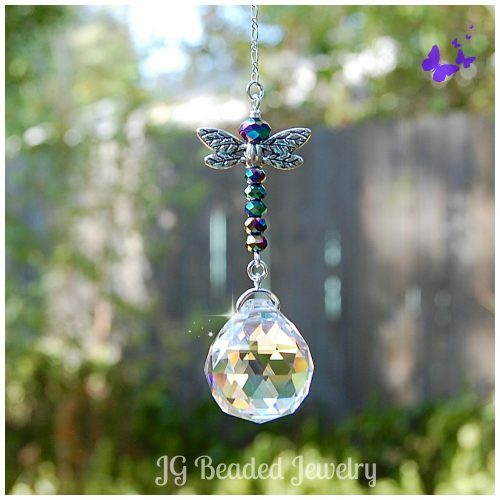 This clear crystal suncatcher is uniquely designed with a clear 30mm x 35mm prism crystal ball. 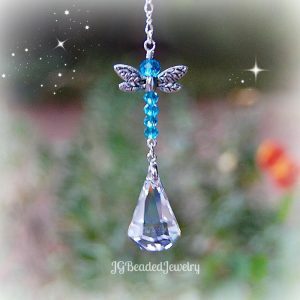 It is wire wrapped by hand and is embellished with clear faceted crystals, fancy silver metal beads with crystals, silver chain and a sturdy ring at the top for hanging. When hung in a window with direct sunlight, you will have rainbows in the room!